So whether you’re planning to put up a new home or renovate an existing one, it’s vital that you comply with compulsory building regulations and invest in protecting your most important asset. Because wherever there is timber there are termites looking for their next meal. 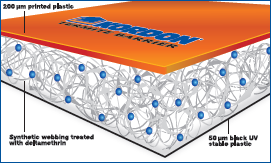 For cost-effective, longterm protection, you can’t go past having a Kordon Termite Barrier installed. Many termite protection products act solely as a physical barrier, allowing the foraging insects to search up and down their length until they find a gap or weakness to enter through. Kordon contains deltamethrin, a synthetic derivative of naturally occuring pyrethrum. Insects are naturally averse to deltamethrin and, given the choice, will not go near it. Repeated trials have shown that as soon as termites even get near the Kordon barrier they turn and go elsewhere for their food. Kordon is sold and Backed by Bayer. Bayer is one of the world’s largest life science and research & development companies responsible for the trusted brands Asprin, Advantages and Berocca. Kordon has been extensively tested by the CSIRO and has been evaluated to have a durability and design life in excess of fifty (50) years. This represents the life expectancy of a building as deemed by Australian Building Codes Board (ABCB). Kordon is allergen-free and classified as non-hazardous. Kordon is installed by a network of accredited installers. Kordon is installed in over 120,000 Australian buildings giving home-owners the ultimate peace of mind. And to top it off, Kordon is designed and Made in AustraliaTM, keeping jobs here. What is Kordon made of? Kordon comprises polyester webbing containing deltamethrin, a synthetic pyrethroid and laminated between two UV stable low-density polyehylene plastic sheets. Subterranean termites (termites) are social insects that live in a colony like bees and ants. Typically they form a nest in the soil or near ground level in a stump or trunk of a tree. They eat cellulose which is found in timber and timber products such as paper. Attack by termites originates from the nest. Foraging termites will seek cellulose up to 50 m or more from their nest. Wood or timber lying or buried is reached by underground tunnels built by the termite workers. 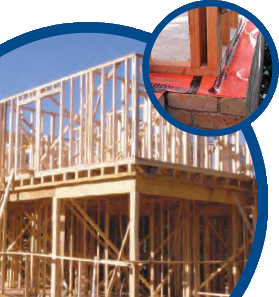 Timber above ground may be reached inside the timber or via mud walled tubes plastered to exposed surfaces. These tubes are built by the termites to shelter them from the light and maintain humidity. There are more than 350 species in Australia and about 30 are classified as economically important – that is they attack timber in buildings. It’s the reason why Kordon is so often preferred for use in schools, hospitals, public buildings and quality-conscious new residential developments. Kordon’s design is unique. It comprises a special layer of webbing to which a precise and consistent dose of deltamethrin is applied. This is then sealed between two robust sheets of quality UV-stable plastic to deliver environmentally safe termite protection not only guaranteed to last, but fully conform with the Australian Building Code, AS3660 and ABCB certification No. 2003/001.